As promised yesterday, I will be introducing you to some of the amazing talent that will be at the upcoming San Diego Indie Craft Market (details below).To start us off on a good note, I am pleased to introduce you to the ridiculous cuteness that is Stitched.! Please introduce yourselves! 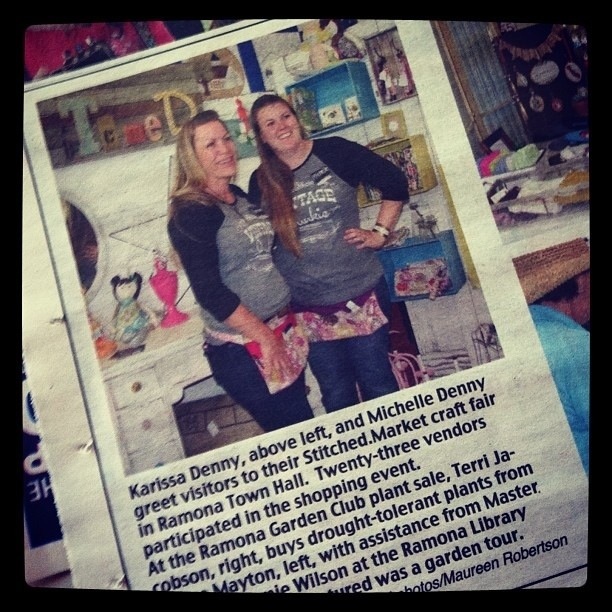 We are Karissa and Michelle; sisters-in-law with a passion for being creative and spicing it up with some vintage flair! As Stitched., what do you do? 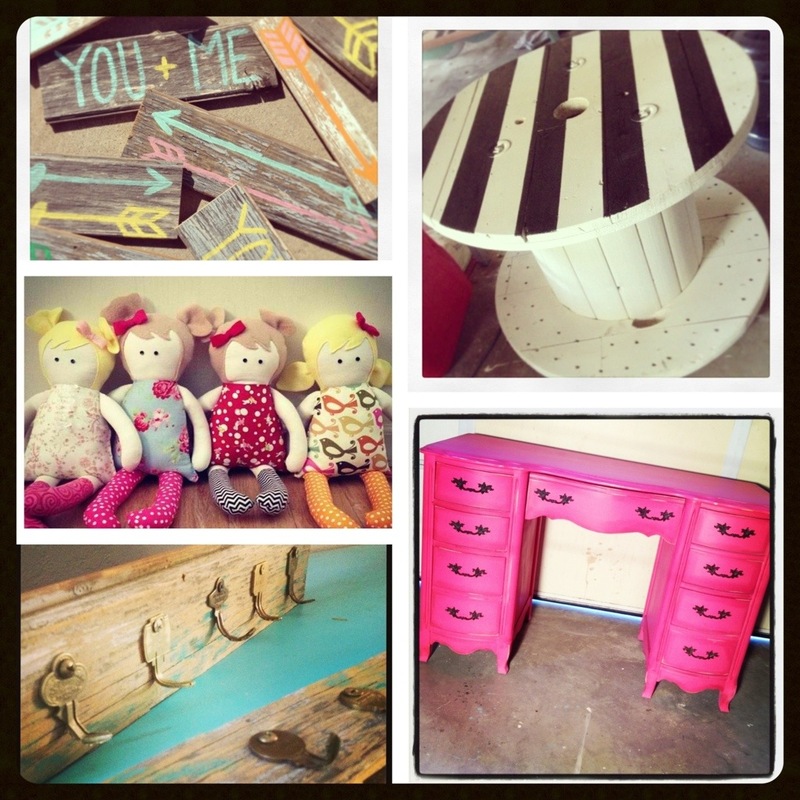 We do a little if everything from refurbishing furniture to sewing rag dolls!! Your pieces are amazing! Where do you snag your fabulous refurbishing finds? We love to go to yard sales, antique stores and flea markets! Would you like to show us your five favorite creations? 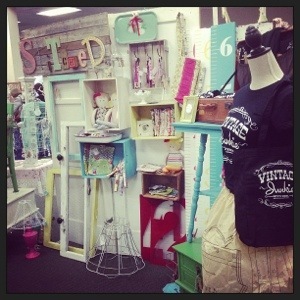 These chicks are kinda awesome, they have even hosted their own craft fair: Stitched.Market! Don’t you wish you could just dive into this picture?! Agreed, Nicki! I can’t wait to see what gems they’ll be bringing with them to SDICM!